If you are among the eco-friendly commuters who would give up the luxury of your car to save the world, we thank you. But it’s not just us, Google also has a way to show its gratitude by allowing you to check transit times in Google Maps. Whether you are touring the New York subway or just don’t know which train will take you home, pop out your Android. Apart from finding the right train station near you, you can use Google Maps to check transit times with ease. Head over to the Google Maps app on your device and look up the train station that you are at. Search for the station name (i.e. 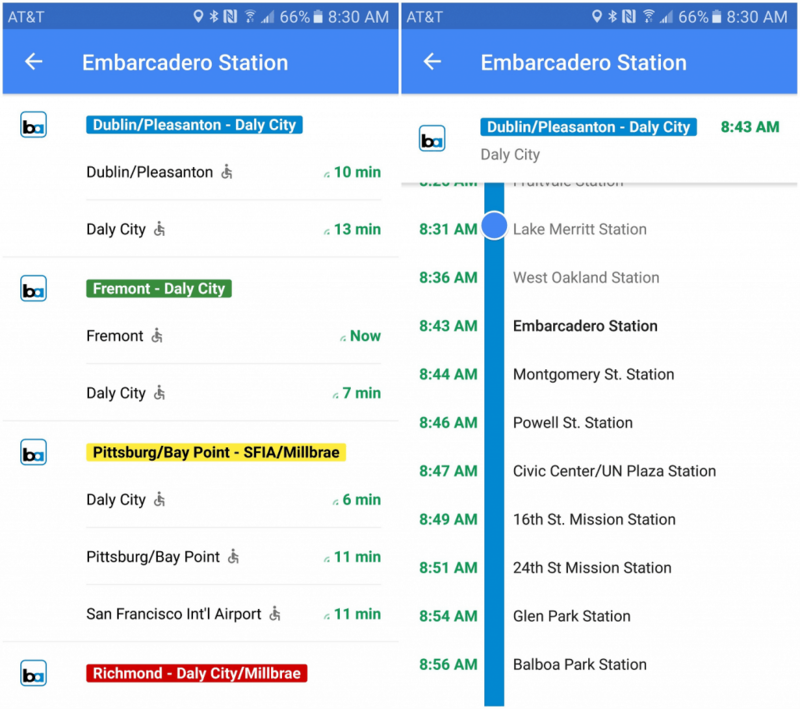 Embarcadero Station), or simply select your current location if you are already there. Tap on the train station and pull up its profile window to get more information about it. Within the profile screen of the train station scroll down to find out transit details. If the trains from that station run to different cities, tap on the city name to know which trains serve there. You can see a graphical representation of all the transit lines on which trains from that station run to. This will allow you not only to check transit times in Google Maps, but will also show your train’s location. You can then sit back and relax while staying updated with the status of your train. 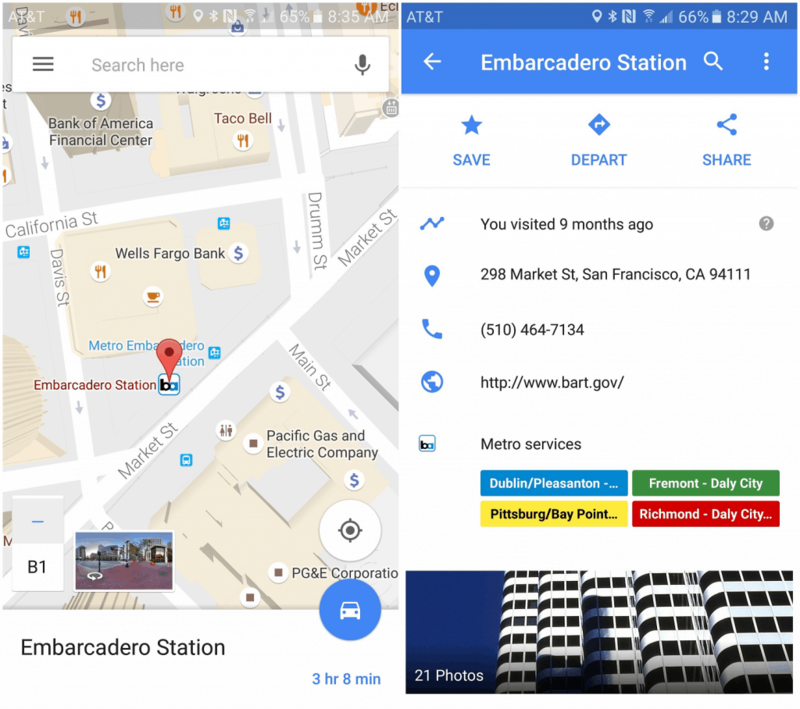 Have you tried out the transit features of Google Maps for Android yet? Are the commute timings in Google Maps as accurate as you would expect them to be? Let us know your opinion in the comments section below.